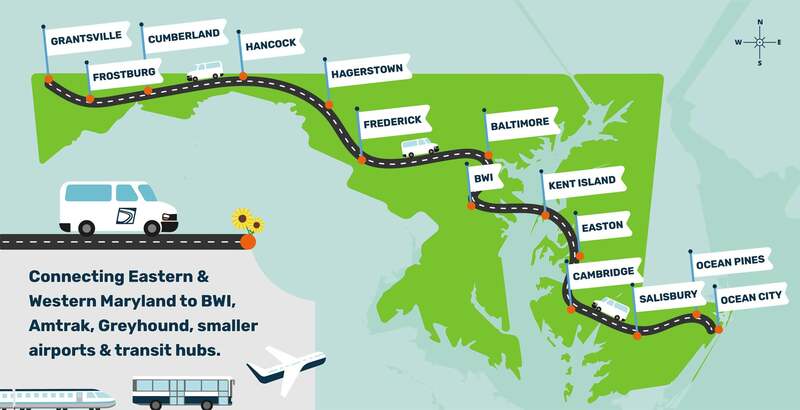 BayRunner Shuttle provides daily, scheduled, high-quality transport services for airline passengers traveling from the Eastern Shore and Western Shore of Maryland to Baltimore-Washington International Airport (BWI). Relax in comfort on one of our Chevrolet G3500, Chevrolet Suburban or brand new Ford Transit vans. 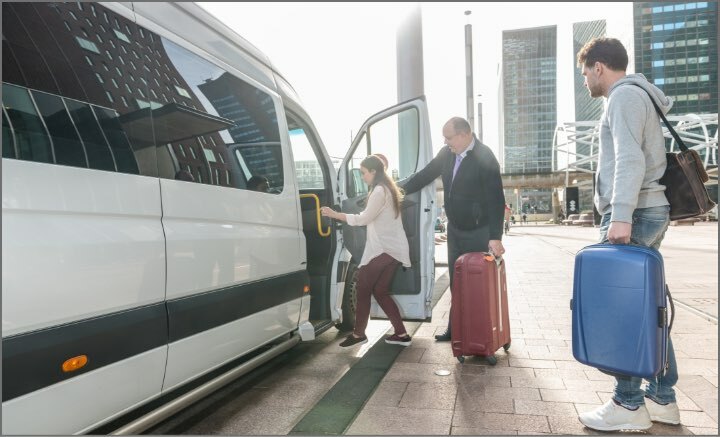 Let our professional drivers take the hassle out of getting to the airport, parking your car, and getting to the front door. 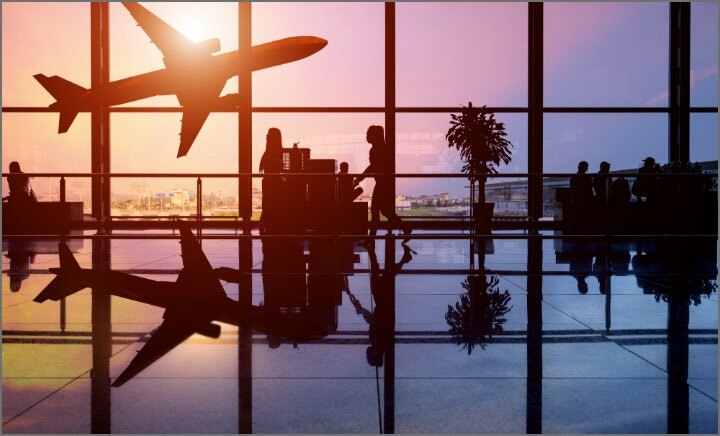 We drop you off in front of your airline or at the Amtrak Station. What’s more, there is free parking at most of our pick-up locations so that you can keep your wallet in your pocket upon return avoiding those $70-100 parking charges. Reservations in advance are recommended to ensure your first choice of shuttle time. 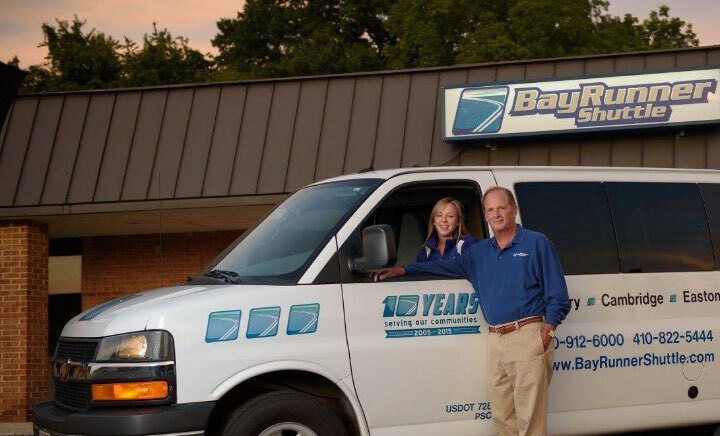 BayRunner now provides shuttle bus service from most of our departure locations on the Eastern Shore, and all points on the Western Shore. 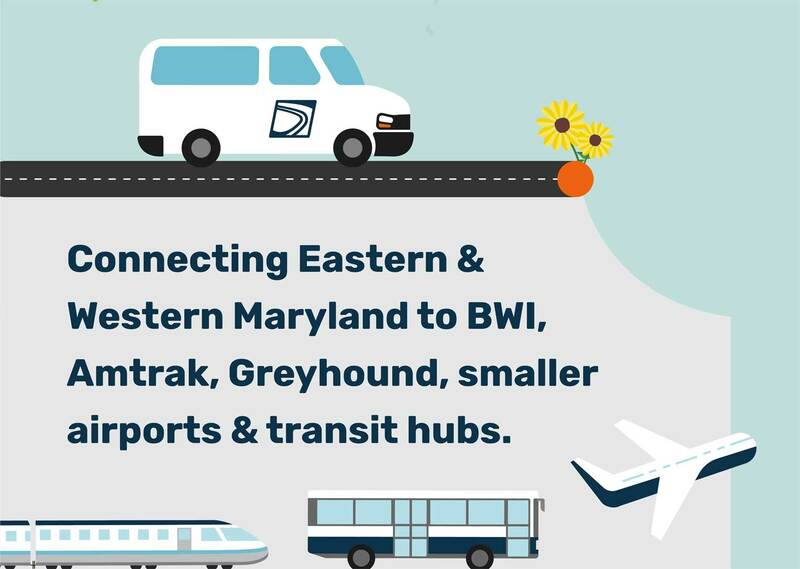 These scheduled shuttles operate at the same time as the airport shuttles, but continue to and start at the Greyhound Bus station in Downtown Baltimore. Reservations are recommended but not required. Handicap accessible vehicles are available upon 48-hour prior notice. Choose from our list of Pick-up & Drop-off Locations to see our daily schedules and rates.